I am sponsoring Moving Along with the Time (MAWTT) today!! & I am chuffed to bits that I also got to GD for them. Pop along & join in with MAWTT's challenge & you could win 4 of my digis!! 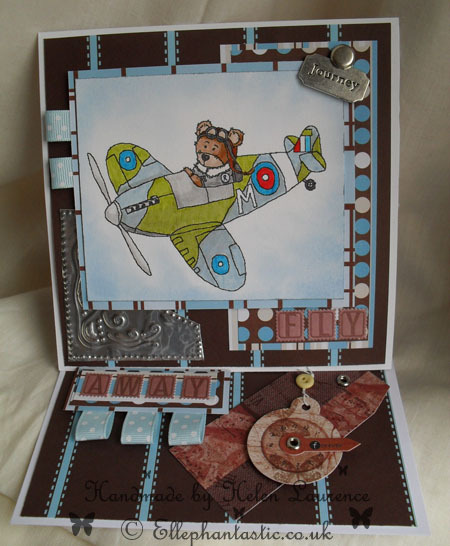 Stunning card Helen, Rogers looking fantastic, love all your embellies too, they're fab!